"This organization has instilled confidence, responsibility and passion, which I will always carry with me." "In my experience this group teaches you so much more than just what they put on the streets or the floor. This group teaches you how to prove people wrong how you get stronger when things are hard. This group surprises me every year we work through Blood, Sweat, tears and sometimes stitches but we do it together and that’s something I just totally love about this group." "I’m so proud to be a part of this group it has taught that hard work really does pay off, and don’t forget sunscreen or your instrument." "The 728 Cadets organization has changed my life and I am extremely grateful for my second family that I have been blessed with." "I have met some of my best friends in this group and made memories that will last a lifetime." "This organization has been a huge part of my life and has taught me many valuable lessons that I will cherish forever. Not only did I learn how to spin a flag, I learned more about myself than I ever thought I would. I also learned through all the blood, sweat, and tears, to keep pushing forward and to never give up. As cheesy as that sounds, I will never forget that hard work does pay off." "I will always keep this band close to my heart and intend to come back in the summers to volunteer my time to them. This has been an amazing five years with the Cadets and I can’t imagine spending my high school years anywhere else." "As I walk off the floor from my last winter Home Show, here’s some advice for current/future Cadets/RVWG members. Just when you want to give up, don’t. You will push yourself to limits you never thought you could. You will learn things about yourself that no one can teach you. And in the end, you realize this all made you a better person and anything is possible." "I had such a good time last winter and made some great new friends that I decided to do the summer season too. I think I can say I had the most fun during that summer than any other one I had ever had so far." "I am so honored to be part of this amazing organization in which I have dedicated all my time to. 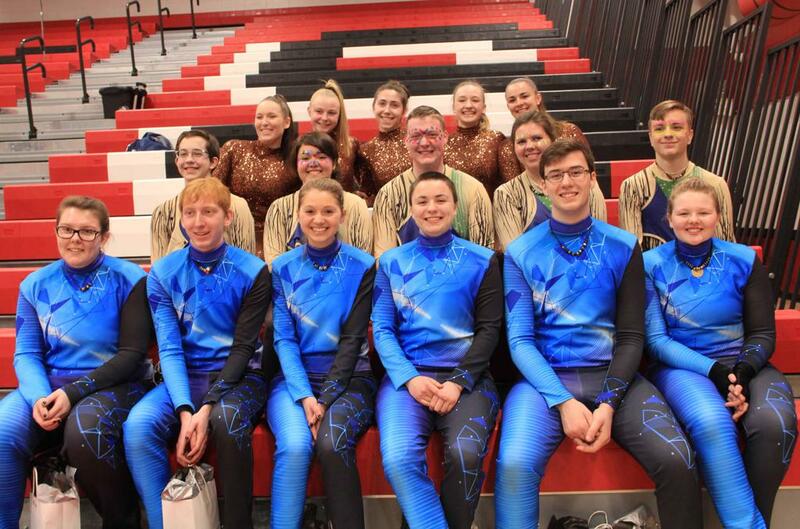 I honestly have no idea where I’d be without all these people who have come and gone, and stayed in my life since I have started this amazing journey in my marching career." "I’ve learned so much about myself while participating in this sport, I’ve learned so much about teamwork and so much about not giving up when times get tough." "I’m definitely happy that I joined, being a part of RVPT and Cadets has taught me more about percussion then I could have learned in band and has helped make so many friends from other schools in the district that I will miss after I graduate." "Being in this group has helped me grow as a musician, a leader and as a person. It has been an experience that I wouldn’t give up for the world. My only regret is that I didn’t start sooner!"